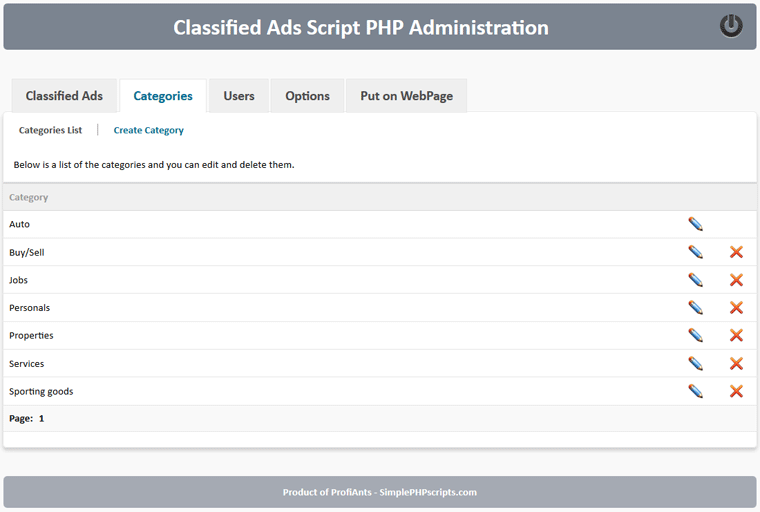 How to install Classified Ads Script PHP? How to use the Classified Ads Script PHP? Using of the options in admin area. How to put the classified ads on the web page. 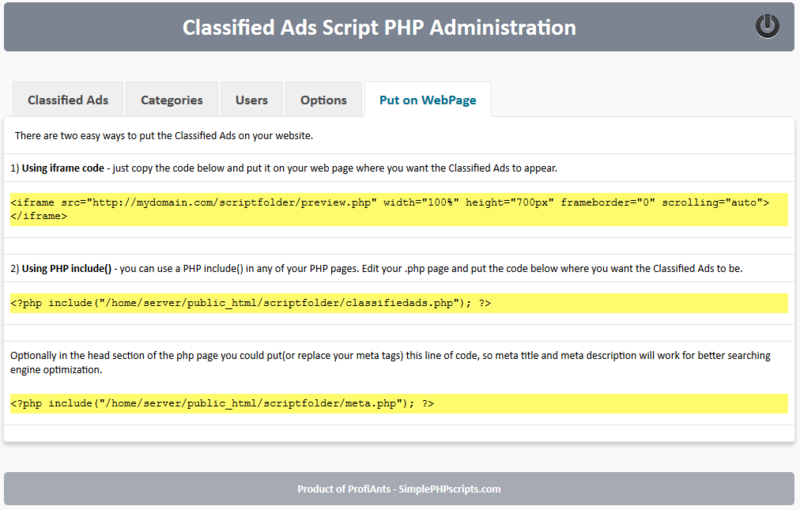 How to install Classified Ads Script PHP? Classified Ads Script PHP require PHP 5.3 or higher version and MySQL 5.0 or higher version to run on your server - you can see the current version of PHP and MySQL in the control panel of your website. 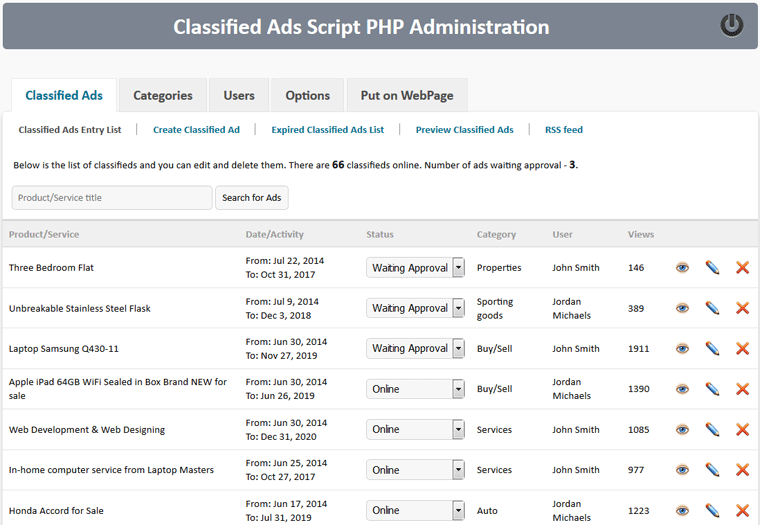 How to use the Classified Ads Script PHP? Once the login is successful, you will enter admin area -> Classified Ads Entry List(it will be empty after the initial install). Here you can see the Classified Ad entries ordered by date published. Classified Ads front-end. This is how the front-end look by default. 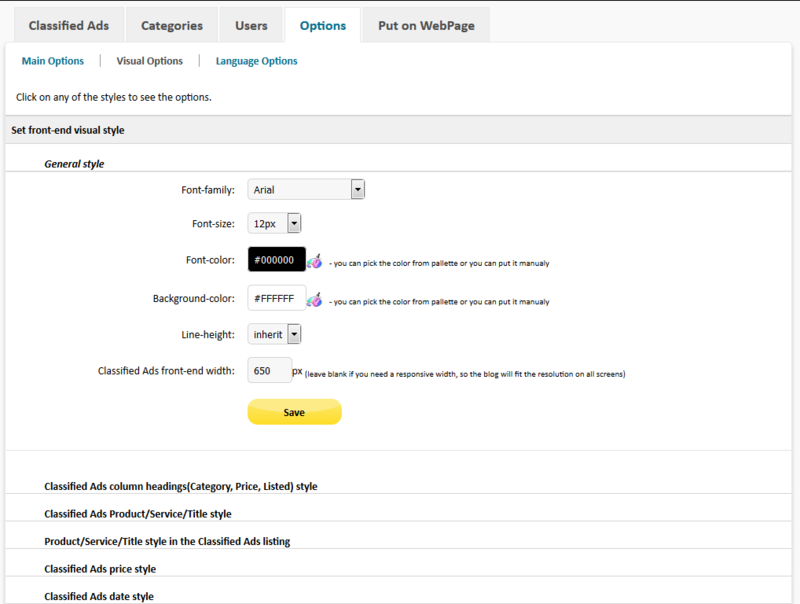 You could change front-end visual style and language in the script options. Admin area - Categories. Here you can see classified ads categories in admin area, ordered by name of the category, and you have option descending and ascending order. 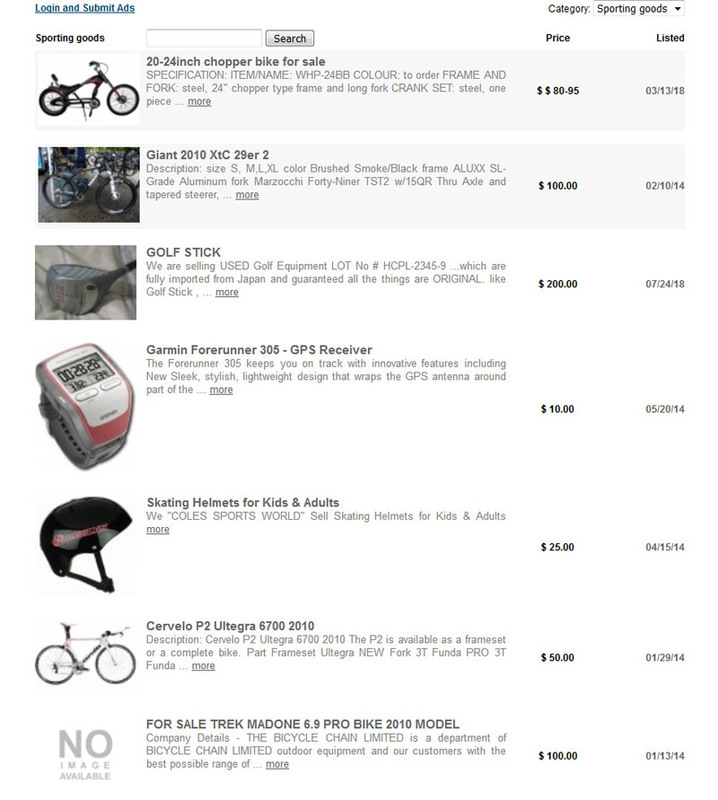 Main Options.You should set Administrator email, where all new Classified Ads/comments notifications will be sent. 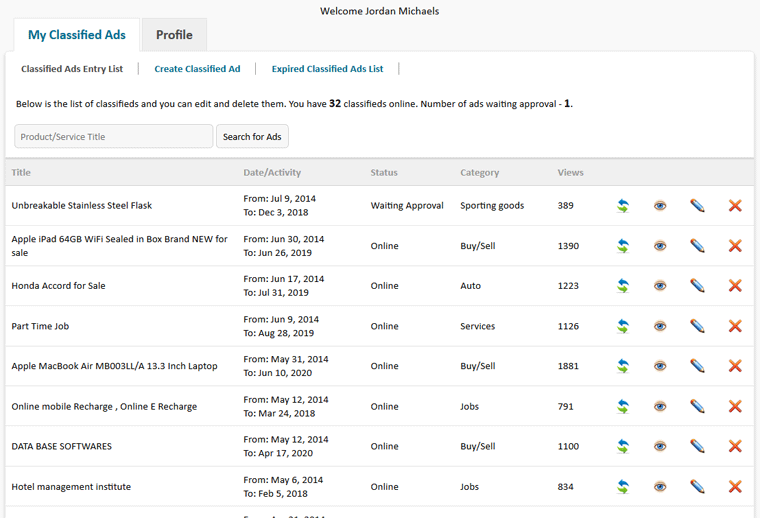 You can set the Number of Classified Ads per page. 'Number of characters in the short description on Classified Ads listing' - is the number of characters that the visitor can see on the list of ads in the front-end. 'Approval' - you can choose whether to approve Classified Ads before having them posted or automatically to be published. 'Number of days to expire' and 'Action after Classified Ads expire' - you can choose the number of days to expire and what action will be after expiration of the classified ad. 'Action after Classified Ads expire' - select the action after Classified Ads expire - delete or move to expired section. User will be able to renew the ad. 'Email after expire' - you can check this option if you want publisher to receive an email notice for Classified Ad expiration. 'Currency' - you can choose the default currency of the Classified Ads. 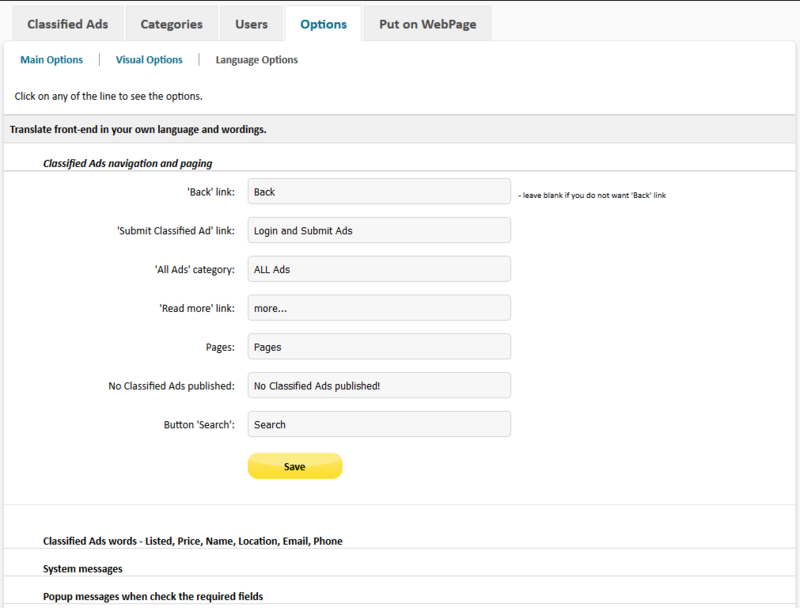 'Default category' - You can choose the default category that will be shown when the front-end classified ads are loaded. 'Show "ALL Ads"' in category dropdown menu - jusr show ir hide "ALL Ads" in the front-end category drop-down menu. 'Maximum number of characters in "Description" when submit listing' - is the allowed number of characters that the visitor can write in the description of the Classified Ad. 'Image size' - This is the width of the uploaded image when the Classified Ad is open to read. 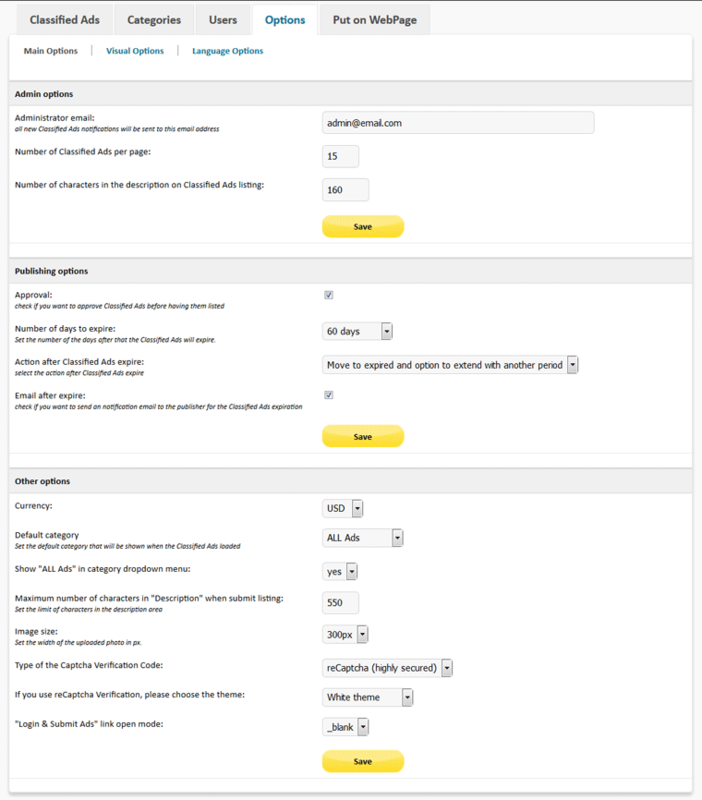 'Type of the Captcha Verification Code' - choose between four captcha images or no captcha for the registration page and sending request popup page. '"Login & Submit Ads" link open mode' - when visitor(user) click on the front-end link "Login & Submit Ads" it could be open in the same window or in a new tab of the browser. Copy the code go to your page and paste between <body>code</body> tags. If you choose the second install option(php include) you could also put the meta tags - just copy the meta tags code and paste it into the head section of the webpage html code.